Impressive high school homeschool transcripts may help your child get into a great private school, college or university and can easily be done from these printable templates and examples right from your computer. While some states may already require these things on a yearly basis, others do not. If your state has specific requirements for you, then you will have to use their guidelines for the records that you need to turn in to them. However, if your child wants to enter a private high school half-way through their high school years or wants to apply to a college or university, you can use templates like these to prepare impressive transcripts to get your child noticed. Our examples are modified from ones that some of our editors used to get their own kids into impressive schools around the country. So they have been proved effective already! 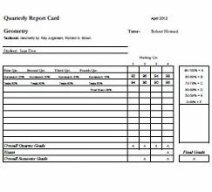 Click here to view this report card as a PDF file.Click here to download in Excel. All you need to do is to modify them to your needs and your situation. This is why we also included the downloadable Microsoft Excel version of them as well! We attach to this sheet any examples of unit tests, quizzes, reports or other examples of the student’s work in that class. If it is a class that is not objective to grade or has no associated book, you will want to include on this sheet any information as to how the grade was determined and what was done to earn the grade. You can click on the link to the right for a sample of how this could be done for a Biology Dissection Lab as an example. 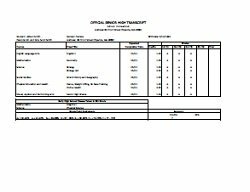 Click here to view transcript as a PDF file.Click here to download in Excel. Every student should have a one-page transcript that summarizes all their classes. If they are in high school, this should include all high school work and credit. If they completed some of this work in advance (for instance, in 8th grade,) you will want to include that as well. This is especially important to include all state-required classes. We have included an example of one done for a freshman who was interviewing to enter 10th grade. It lists all her classes and what grade was earned. It also lists those classes taken in 8th grade that are high-school requirements for her state. To complete it for additional years of high school, simply keep listing the classes on the same page to show the entire high school history. Feel free to use our blank example or download the spreadsheet and modify it to create your own. The master homeschool transcript is best if it is neatly typed and limited to one sheet of paper. 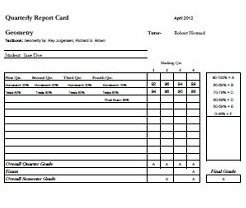 Once you have the master transcript completed, the homeschool report cards for each class completed and any examples that you want to include, it is time to make copies. We recommend keeping a copy for yourself and a copy for each school that you are applying to or interviewing for. In our experience, admissions personnel are very impressive when provided with all these records and gives them confidence that your child has been properly prepared for their school! Don’t Be Intimated by Homeschool Transcripts and Records! It is a little bit of work to pull it all together, but don’t let that intimidate you. Many schools are seeking out homeschool students for their schools, colleges and universities because they know they can excel. This is just your opportunity to show off what they have done. Hi,I check your new stuff named “Homeschool Transcripts and Report Card Templates – Homeschool Curriculum” on a regular basis.Your writing style is witty, keep up the good work! And you can look our website about اغانى 2018. I was in needs of an elementary transcripts. Do you have any templates. We do – they are in our free download section at http://homeschool-curriculum.org/get-download-access/.